Sony and Panasonic have announced plans to jointly develop next generation OLED panels for use in televisions and large-sized displays. The two companies will each utilize their core and printing technologies to mass produce low-cost panels starting next year. The venture might seem like a desperate attempt to remain afloat but with other vendors dominating the television market and the technology behind it, it might not be a bad idea after all. The duo will work together to develop the panels but each will continue to sell their own branded products. The two companies are well-versed in producing sets as it was Sony that introduced the world’s first OLED TV back in 2007 with the XEL-1. This set had a screen size of 11-inches, a native resolution of 960 x 540 and was the world’s thinnest television at 3mm when it debuted. LG and Samsung are responsible for a large portion of television profits. 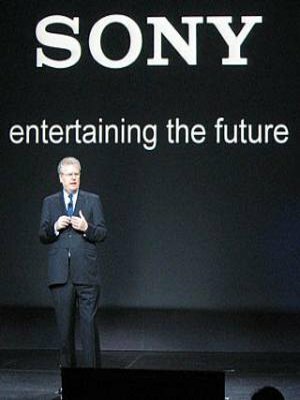 Sony has had an especially tough time in this market as their television line hasn’t been profitable in eight years. Last month they announced the largest loss in the company’s 55-year history. They plan to turn things around with the “One Sony” initiative that will focus efforts on gaming, mobile and digital imaging. New OLED sets from Sony and Panasonic could reach customers by late 2013 or early 2014 and with any luck, some of the savings in development costs will be passed along to the buyer.